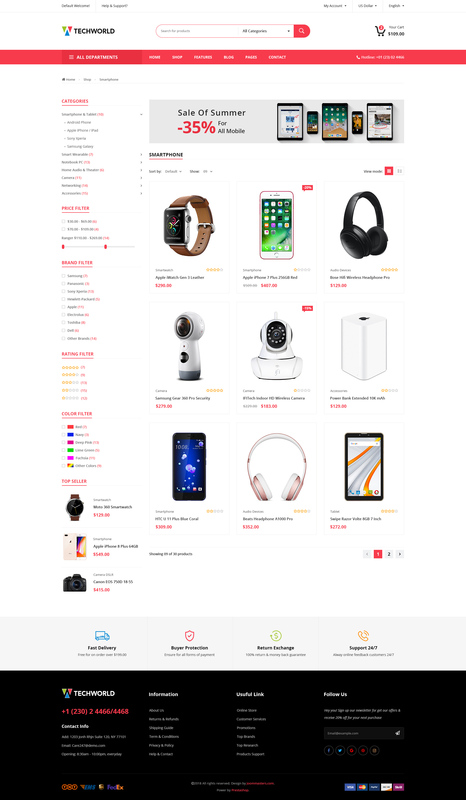 TechWorld is premium responsive theme for digital store, supermarket online what are selling digital, fashion, funiture, jewelry, accessories,... Flexible settings, fast loading, premium modules, fast support and much more. 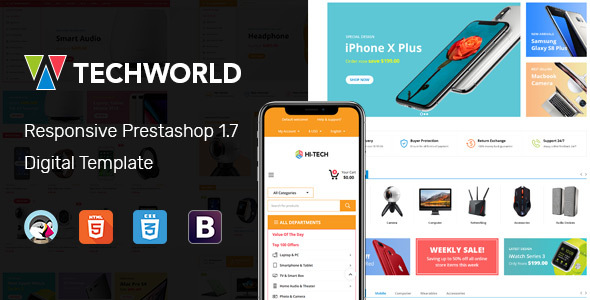 All these amazing features are blended together in TechWorld – your powerful, stylish and attractive responsive Prestashop Theme. 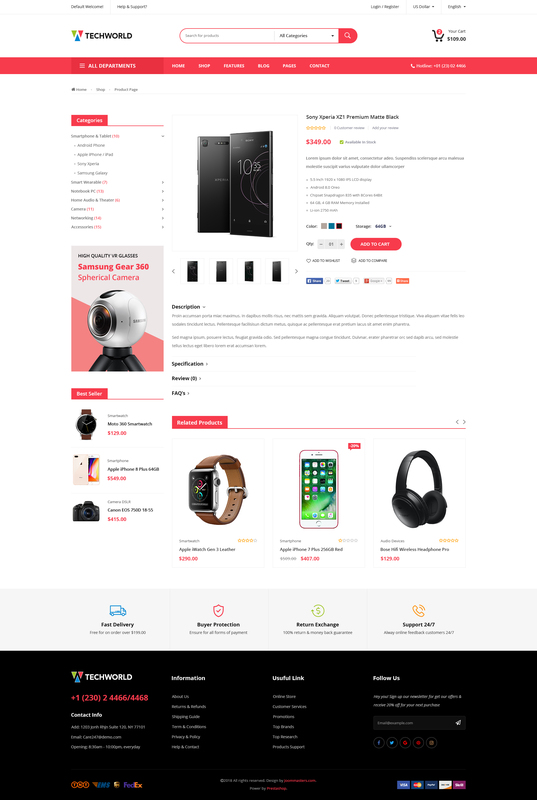 Make your business with our theme. We are sure that it will satisfy all your needs!